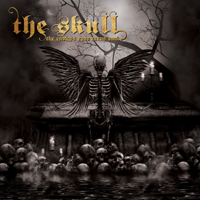 The 2016 titled “The Book” came as a bit of a surprise as it was a consistent piece of classic Heavy Metal; I don't know what I should be expecting from GRAHAM BONNET BAND really, most likely something softer. 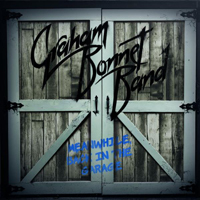 No matter what, the album exceeded my expectations by far, so now, for “Meanwhile, Back In The Garage” I was looking forward to hearing something similar. "Can you feel the music running through your veins?" That’s the first thing you see when upon opening the booklet to Don Airey’s fifth solo album, titled “One Of A Kind”. It’s actually just recently I’ve really gained a real interest in various band members’ solo albums. I've of course been familiar with Don Airey's capabilities since long but it has always been the main bands that have caught my interest. Yes, I know, I know, I’ve missed a lot of good music by doing this but it’s better to start late than never, right? 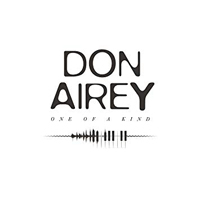 With this (and because of his long list of merits), I had no idea what to expect from Don Airey, what he could deliver and frankly my expectations were very far off from what’s delivered on “One Of A Kind”. After “Manala”, KORPIKLAANI changed the album-releasing cycle into one per three years, and right on time, “Kulkija” will hit the stores, being one of the longest records the Finns have ever created. 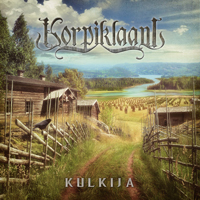 Aside from the time duration, “Kulkija” seems to be a curving point in KORPIKLAANI’s song-writing and it may as well be a way to re-introduce the band. One - most probably subtle or even irrelevant - change is the absence of the antlers-wearing figure on the album’s cover artwork which to my eyes points to the band’s first albums in a ‘going back to the basics’ way. However, having in mind that KORPIKLAANI is not a band eager to make grave changes, I had to proceed with caution with “Kulkija” streaming.